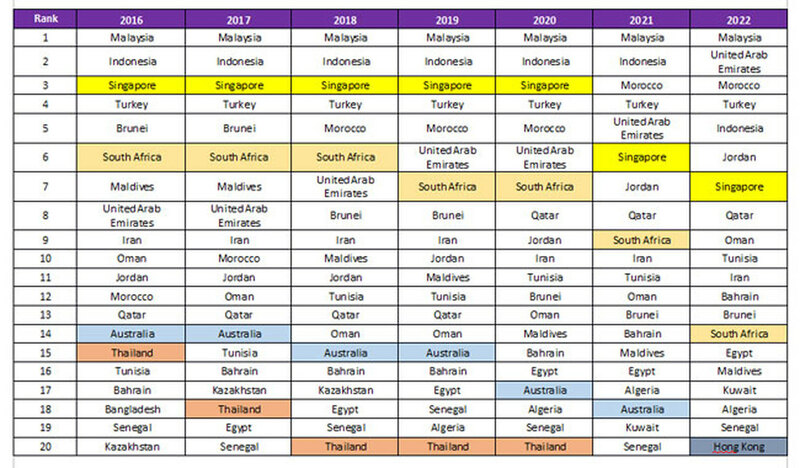 According to the MasterCard-CrescentRating Ramadan Travel Report 2016, from 2016 to 2030, the positions of the non-OIC destinations will vary significantly due to the increase in attractiveness of OIC destinations for Muslim travelers during the month of Ramadan. In 2016, only four non-OIC destinations appear in the top 20 rankings. 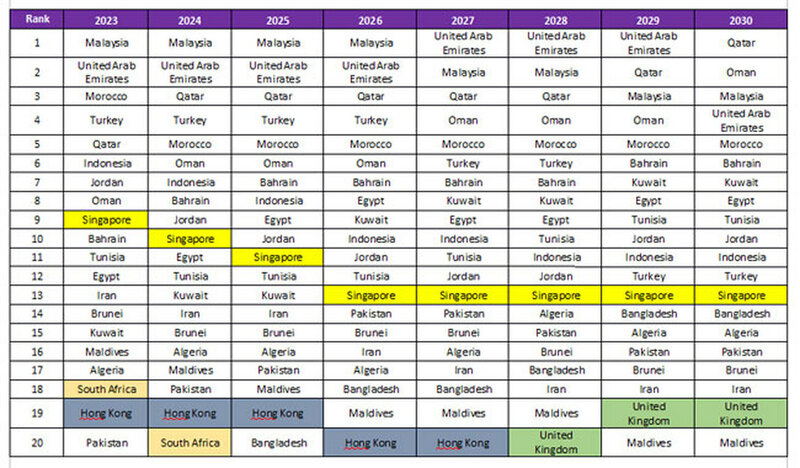 With the rise of rankings of OIC countries from 2023 to 2030, there will only be two non-OIC destinations in the top 20 rankings from 2025 to 2030. Overall, non-OIC destinations will remain largely less attractive for Muslim travelers in Ramadan from 2016 to 2030. The impact of this will be a decline in Muslim tourist arrivals into non-OIC countries, during Ramadan in the years 2023 to 2030. Non-OIC destinations which have a good level of services during Ramadan could focus on attracting Muslim travelers from neighboring countries for shorter visits. Highlight the level of Muslim friendly services in their travel segments especially offered in the month of Ramadan. They could also focus on offering unique Eid gateways.